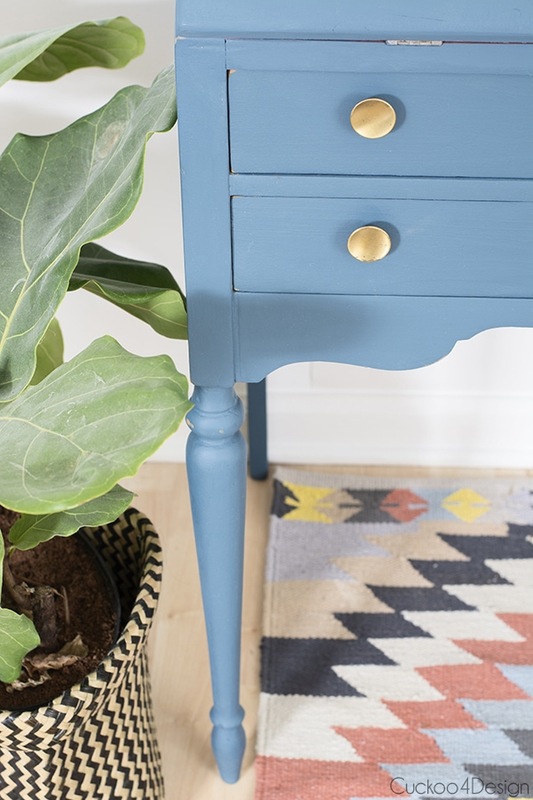 I haven’t done a furniture makeover in so long. 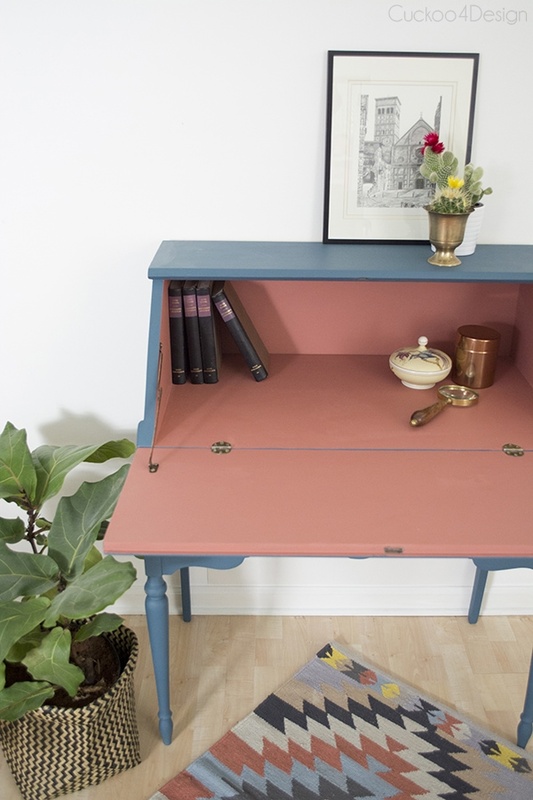 And when the weather finally turned and I felt like opening the garage, I was ready to tackle this little secretary desk that I have had in the garage for over a year now, can you believe it? 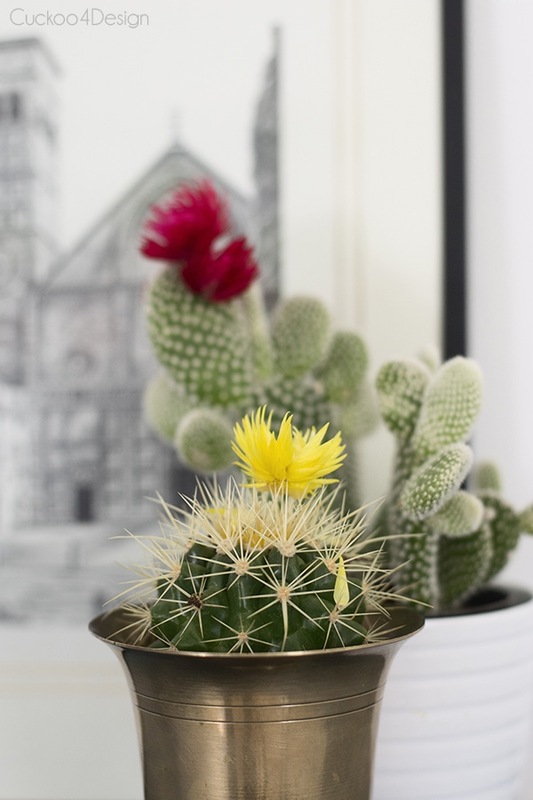 I bought it at a local auction and fell in love with it’s small scale and skinny legs. It is really really old! 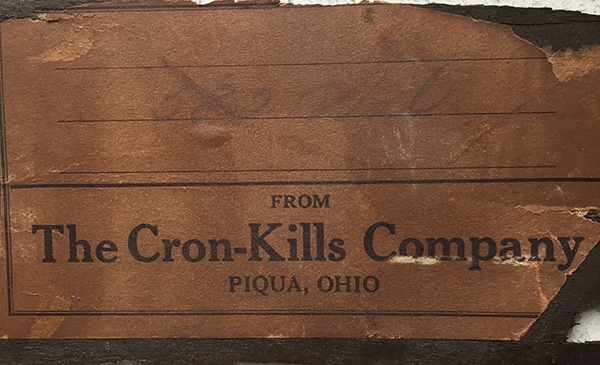 Check out this link HERE to the Cron-Kills Company catalog from 1905! I originally wanted to strip the many different paint layers but quickly realized that just staining it wouldn’t be an option. After all I didn’t have the back to it anymore either. I kept the flimsy desk slots but opted to not attach them for now because I feel like it gives you more room this way for modern day items like laptops. In the good old days those slots where for when people actually wrote letters instead of emails. 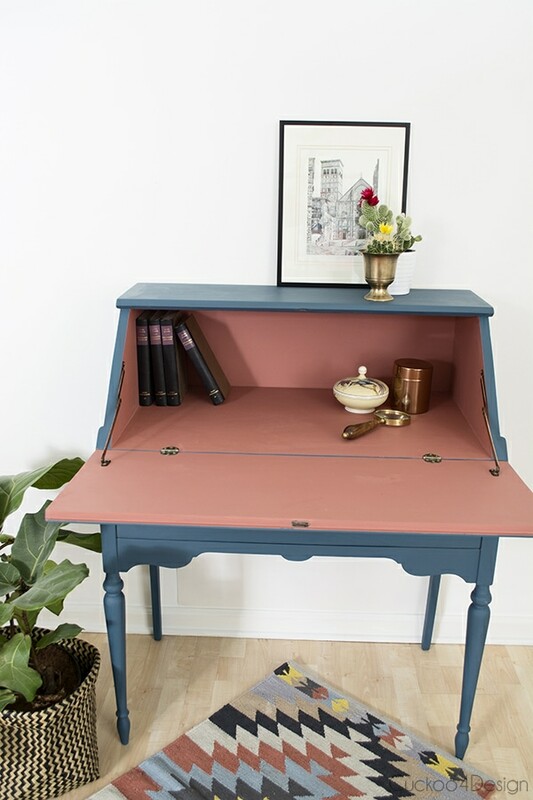 The desk was stripped, sanded and then the outside got a coat of Annie Sloan Aubusson Chalk Paint and the inside got Annie Sloan Scandinavian Pink, lightly distressed with a final coat of clear wax. You could use some darker wax for a more antique look but I love seeing the shades of the colors. 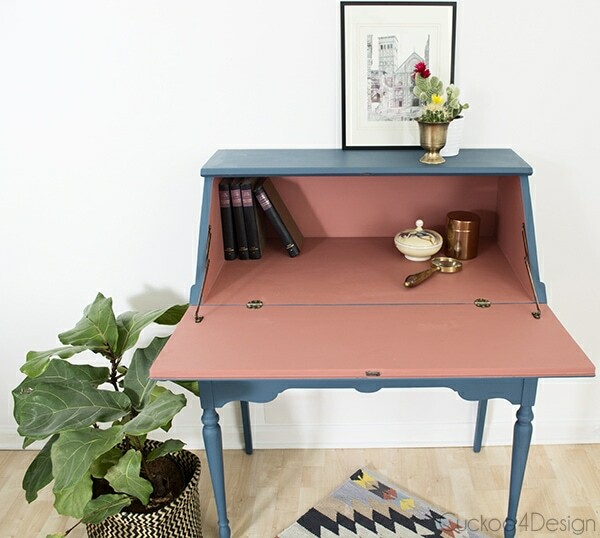 And I have been drawn to the blue and salmon/pink color combo. It’s a little different from my regular style but I truly love it and the piece will be for sale in my Etsy shop. 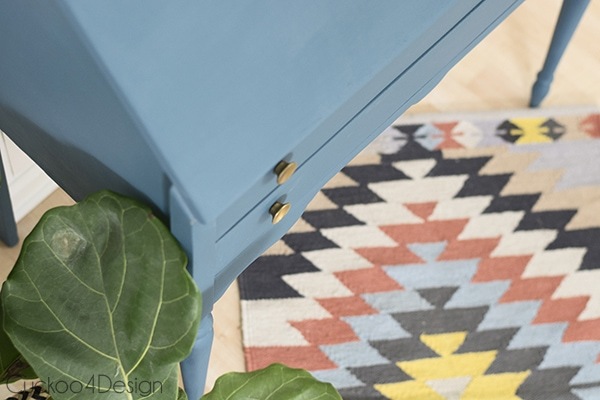 And you can find the pretty rug HERE. Love the desk!! Where is the rug from?? I updated my post and included a link. so pretty! i love the pop of scan pink inside! 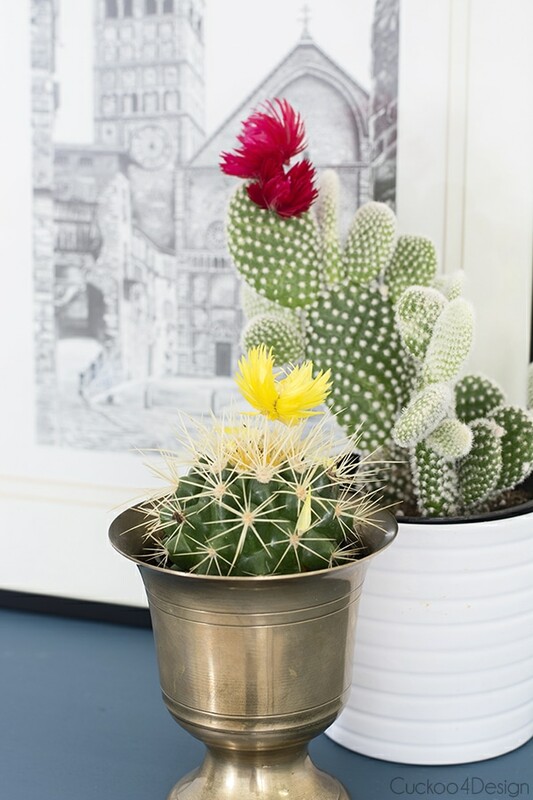 Those colors look great together–so pretty! 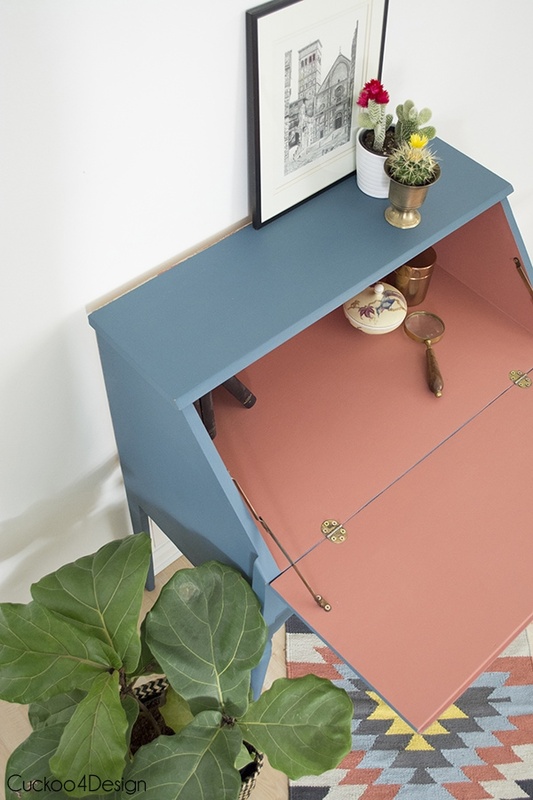 I wasn’t sure I liked your choice of blue, until I saw the interior painted in the contrasting coral. I love it!!!! Beautiful piece!! Love the surprise of pink when you open the desk up! That pink is my favorite. I used it on some pumpkins two years ago too. And thanks! Lucky you for finding such a nice piece of furniture! And beautiful remake, too! Love the pop of color on the inside! 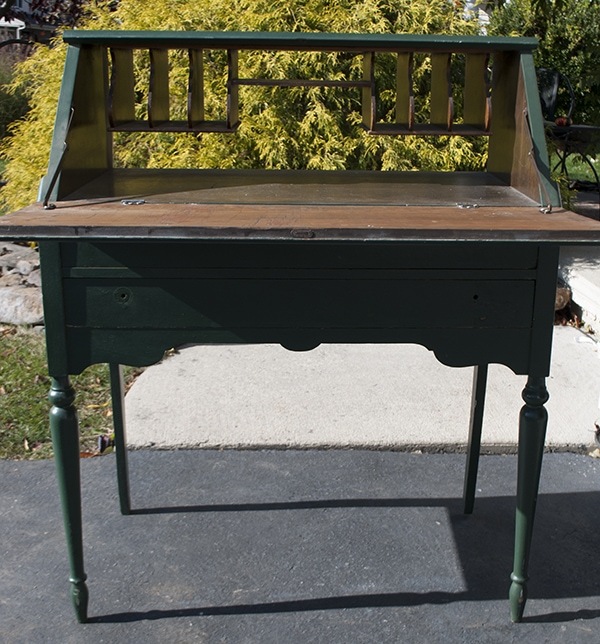 very nice!I have an antique oak (dark) dresser with attached oval mirror that I have been thinking about painting (as a newbie) with Annie Sloan chalk paint as well. 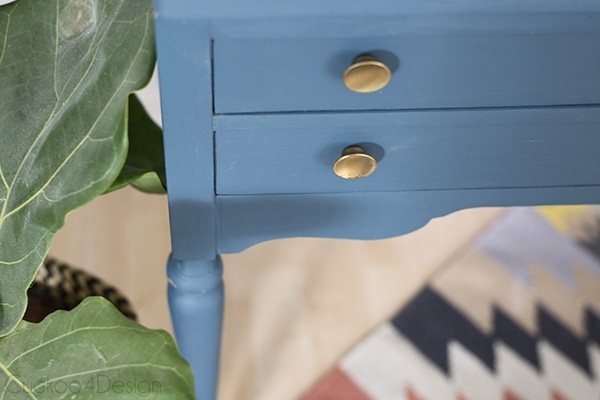 The front of the drawers have some detail work… from your experience how easy is it to paint ? Hi Carol and thanks so much. I do have to tell you that it’s the easiest paint with ever. It really is. It’s so much harder to paint with oil paint and other paints. And since you can sand it easily you can fix mistakes during your first time painting. Good luck! This is flawless, Julia!!! It is so perfect with that rug! Love! Just charming with the pink surprise inside, and so great with your fabulous rug!! 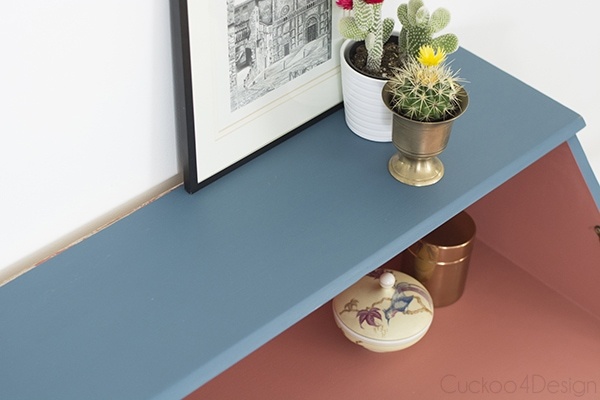 Oh my goodness those colors are so unexpected together but so, so pretty! I actually really love the contrast between the desk and your other decor. Makes for a really interesting space. This is a beautiful makeover Julie! 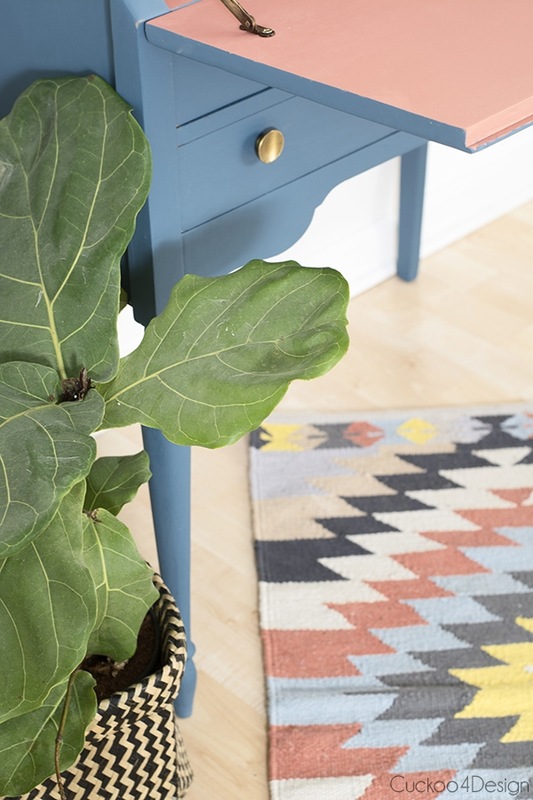 Love the color combo and how well it coordinates with your rug! Love the peek-a-boo pink on the inside. 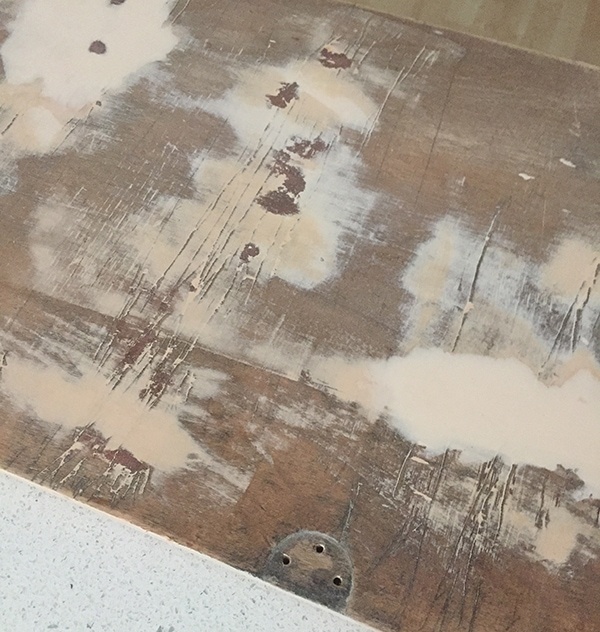 Glad you were able to salvage a piece that surely needed some TLC! You must try!!!! And thanks! Oh so very beautiful. When I stike if rich……. will you design fo me? 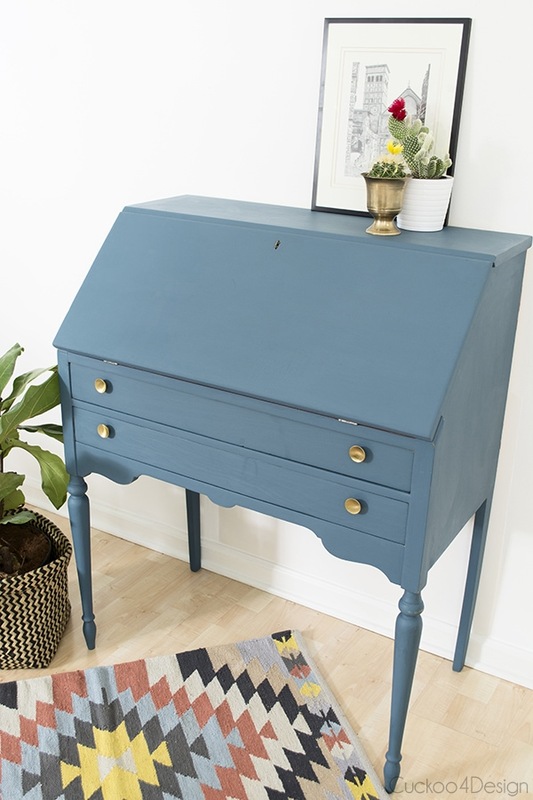 I love this desk and am now on the hunt for one similar! Love that it’s originally from piqua Ohio, which is 10 minutes north of my hometown of Troy Ohio!